The current computer software package enables simple limit equilibrium design, complex soil structure interaction calculations and accurate finite element analysis. The amount and complexity of the data are also increased when the analytical method becomes complex, so the chosen analytical method must be able to meet the structural accuracy requirements and maximize the economic benefits. When the wall has little or no stress redistribution, the cantilever retaining wall, limit equilibrium method and soil / structure interaction analysis of the embedded depth and wall bending moment may be about the same. The results of the soil / structure interaction analysis are more accurate for the sheetpile supporting type wall. The purpose of the ultimate state design is to prove that the sheetpile retaining wall in the design conditions can fully play a role in the design of the retaining wall before the soil must have a full understanding of the situation. In any case the design under the ULS condition is essential, and in some cases it is possible to check the performance of the wall under normal operating conditions, ie the normal service limit state (SLS). In the SLS calculation, it is important that the wall is tilted and the movement of the soil adjacent to the wall is significant. When the wall is held stable by the support, the incidental load may cause some or all of the support failure. 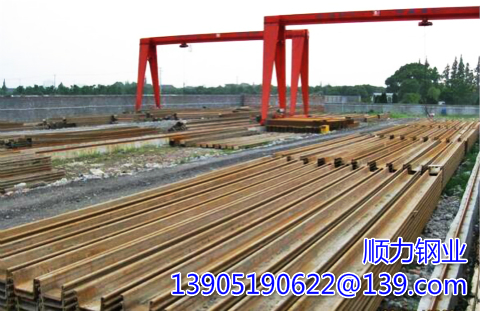 The designer needs to verify that the structure will not be further damaged, The corresponding loss of tie rod in the design of retaining wall of sheetpile.